Explore the enchanted Monteverde Cloud forest as if you had a set of expert eyes during this guided walk and feel like as if you are walking through a grandiose green cathedral. We will trek through various trails in search of birds, mammals and discuss the amazing diversity of plant life you will encounter. Recommended: Light clothes, walking shoes, sunscreen, sunglasses, hat and camera. Tour includes: Transportation, guide and entrance fee. Explore Monteverde at night. 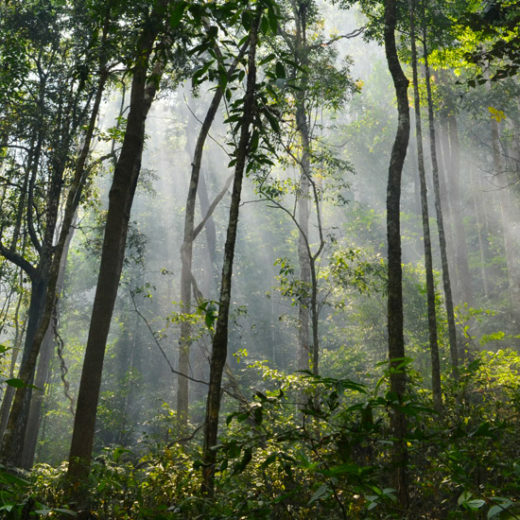 During this evening tour you will enjoy walking through cloud filled forest trails surrounded by thick jungle. 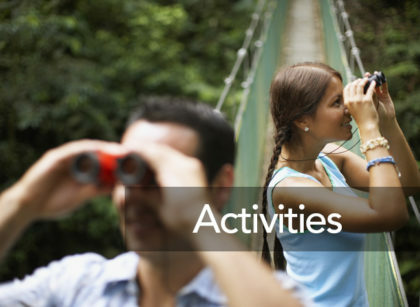 You will observe a wide variety of flora and fauna along your evening hike and observe the sleeping habits of the abundant wildlife that inhabit the forest. Recommended: Rainwear, walking shoes, binoculars. Trapiche is the Spanish word for sugar mill Costa Rican style. 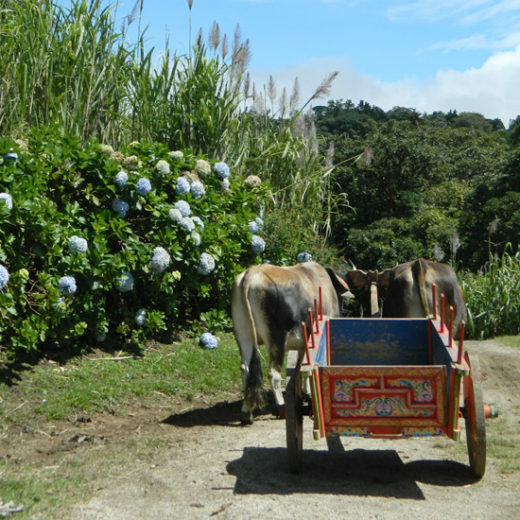 The Monteverde Trapiche Tour is run by a local family who will teach you a little more about Costa Rica culture. 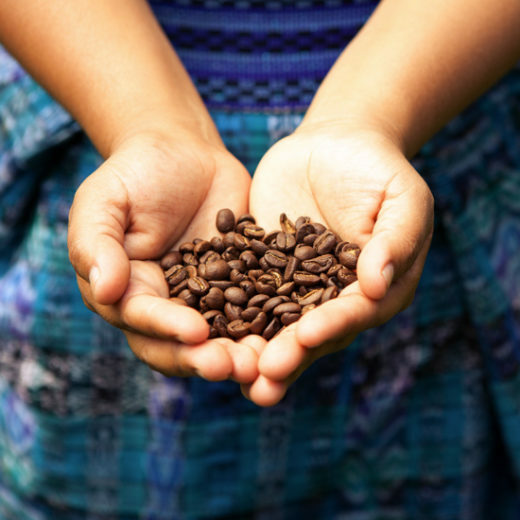 Even though the tour’s name means sugar mill process, the tour also illustrates how coffee is produced and you will learn about other crops grown on a typical farm as well. Tour includes: Transportation, guide, snacks and entrance fee. The Don Juan Coffee Tour in Monteverde Costa Rica offers an interesting opportunity to learn about coffee and Costa Rican folklore. 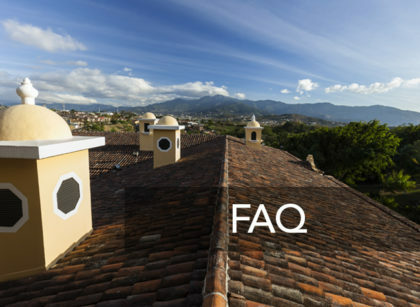 During the coffee tour, participants will learn about the history, cultivation, and operation of a functioning coffee 'beneficio'. Visitors will have a chance to pick coffee and take part in the different steps involved in coffee production. Afterwards, you will continue with the chocolate tour. On this 30 minute tour you will learn all about the world of chocolate. Besides learning about its history there is a hands-on element where you will participate in the chocolate making process. You will have the opportunity to taste the cacao fruit and learn how the cocoa beans are converted into delicious chocolate. Gain insight into the traditional method of roasting the beans, separating the husks and grinding the beans. At the end, you will enjoy a short 15 minute demonstration about sugar cane production. Learn about the historical methods of extraction and why many farmers had their own sugar cane mills. You can also participate in making sugar cane the traditional way and enjoy a glass of pure sugar cane juice. Tour includes: Transportation and guide. 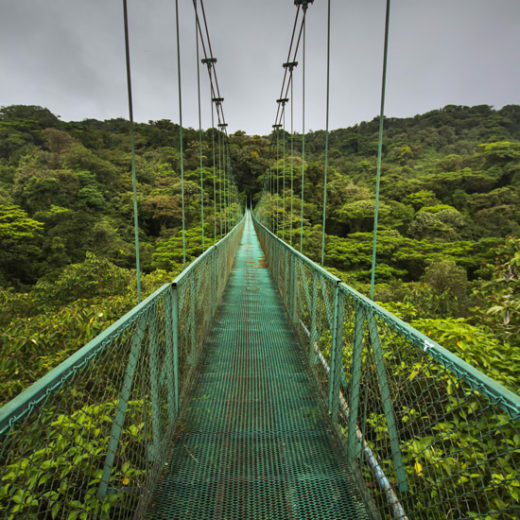 Enjoy a trek on the famed hanging bridges at Monteverde, a combination of suspension bridges and platforms built in the cloud forest tree tops. By having the opportunity to be next to these host trees you can experience, up-close, the amazing biodiversity and understand how the Cloud Forest truly is co-dependent on its environment. In addition to the pleasure of walking through the forest the hanging bridges give you a special insight into how the forest functions. 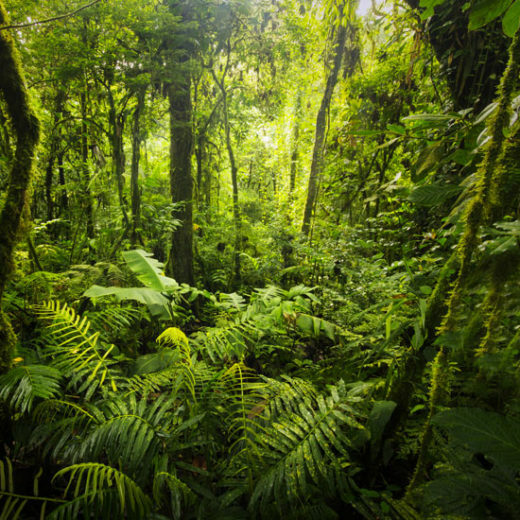 Take a guided tour through the misty Santa Elena Cloud Forest Reserve, a lesser known cloud forest in the Monteverde area. You will walk along different trails in search of birds and mammals, discuss the amazing diversity of the forest plants life and learn all about this bio-diverse paradise. Located near the Cerro Plano, between Santa Elena and the Monteverde Reserve, the Hidden Valley trail offers the ideal forest and elevation to view the incredible tropical wildlife. For those who wish to observe the hidden wonders in the forest after dark, we offer a guided night hike. The tour begins just before nightfall, allowing us to observe a considerable variety of nocturnal creatures. 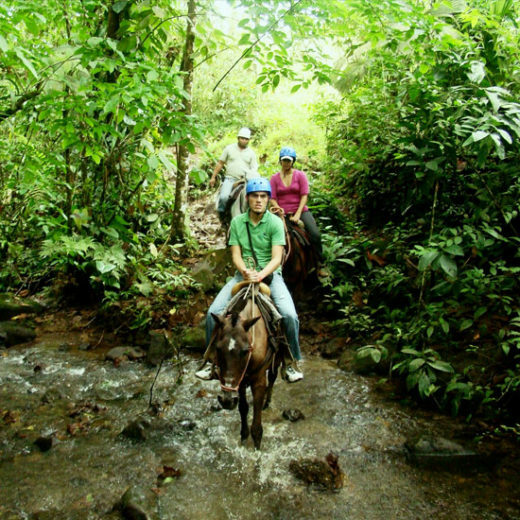 Horseback riding is the perfect way to see Costa Rica's beautiful country landscape and experience its unfettered nature. The Butterfly Farm has a nature center, four gardens, a 500-square-meter netted flyway, three greenhouses, a gift shop and botanical gardens. In the Nature Center, guests learn about the complexities of the butterfly life cycle, and can see live eggs, caterpillars, and chrysalides. As a bonus, you will get to see demonstrations of other live, local insects. 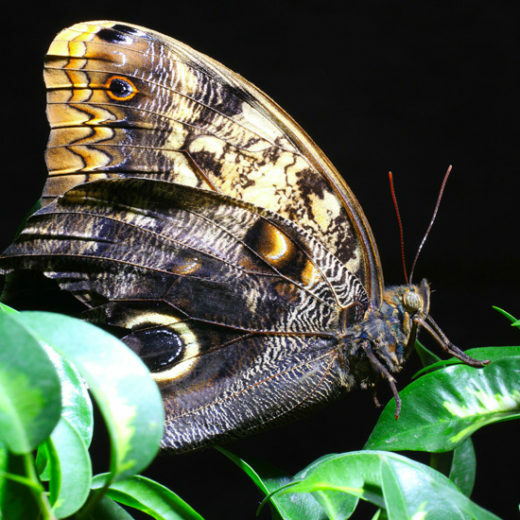 You can expect to see the flashy Blue Morpho Butterflies and the Owl Butterflies, the largest in the country. Recommended: Light clothes, walking shoes and camera. 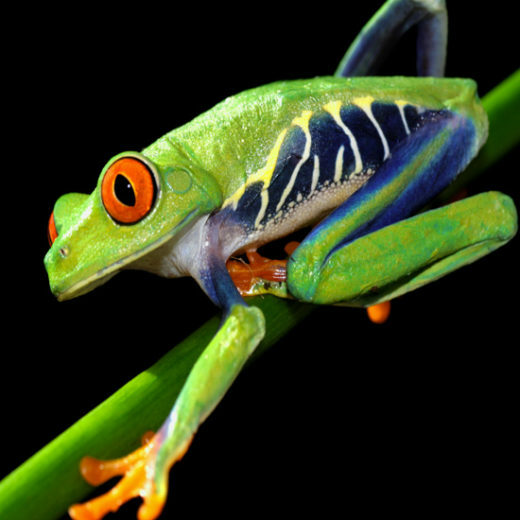 At Monteverde Frog Pond you can admire over 20 species of frogs and other amphibians. Walk with our guide and learn about species that are unique to the tropics of Costa Rica. 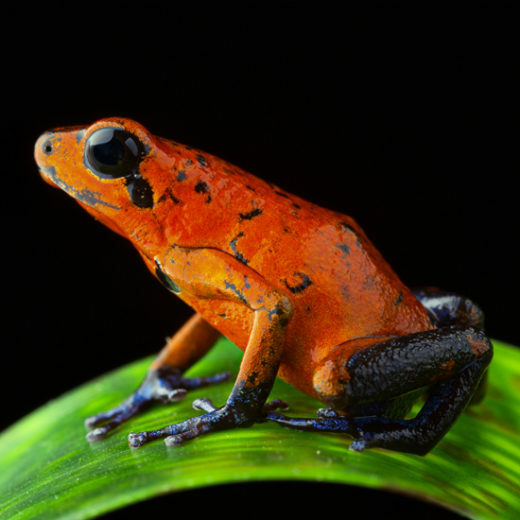 Come see extraordinary frog, such as colorful Poison Arrow Frog, the very large Marine Toad and the famous Red Eyed Tree Frog. 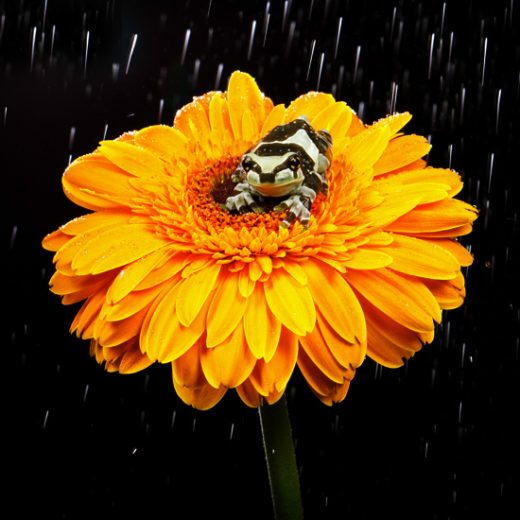 After a guided tour of our terramariums that simulate natural habitats, feel free to wander through our exhibitions of frog species and their natural history. 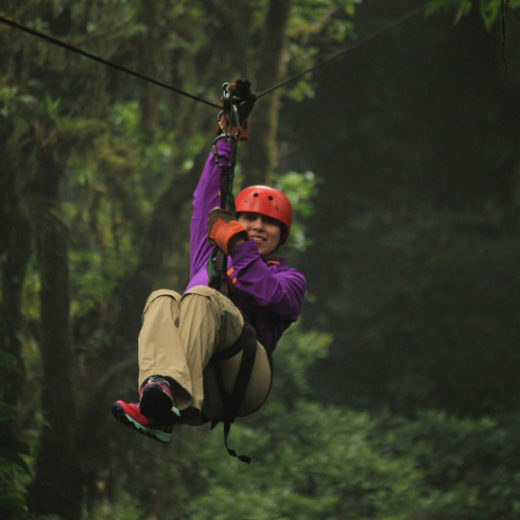 The Tree Top Canopy Tour is characterized for being a different Canopy…it is easy. 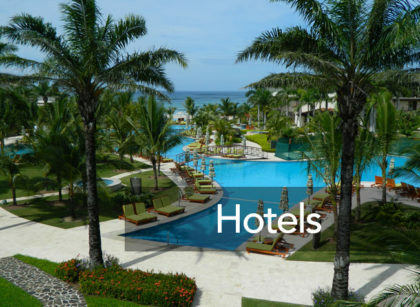 This means that the client can choose whenever they wish to take the tour. Tree Top Canopy Tour is especially designed for our clients to enjoy the spectacular view it has of the Gulf just as well as the flora and fauna. Our Canopy has 16 cables that extend 15mts. up to 410 mts long and a tower 50mts. 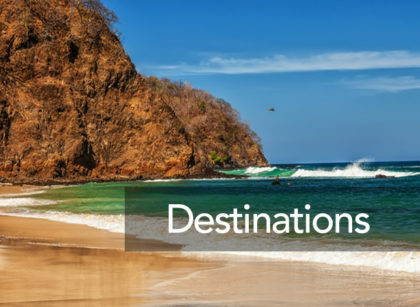 high with a spectacular 360 degree panoramic view, where the Gulf of Nicoya can be admired, as well as some parts of the Monteverde Rain Forest Reserve. The tour provides raincoats in case it rains and expert guides with more than 2 years of experience. 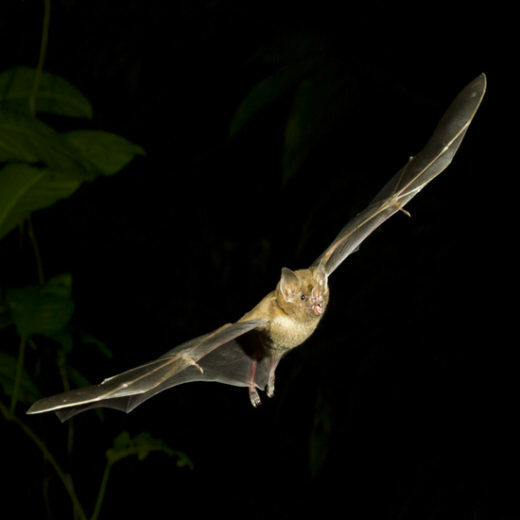 If you want to see some of the world's most interesting and beautiful bats flying free in the dark recesses of the "bat jungle", be sure to visit our new and modern exhibit at the “Paseo de Stella”, located in famous Monteverde, Costa Rica. Our professional guides will show you not only flying bats out searching for a meal and socializing, but you will also hear the real ultrasonic sounds made by the bats themselves, in addition to a spectacular exhibit illustrating the fascinating world of bats!